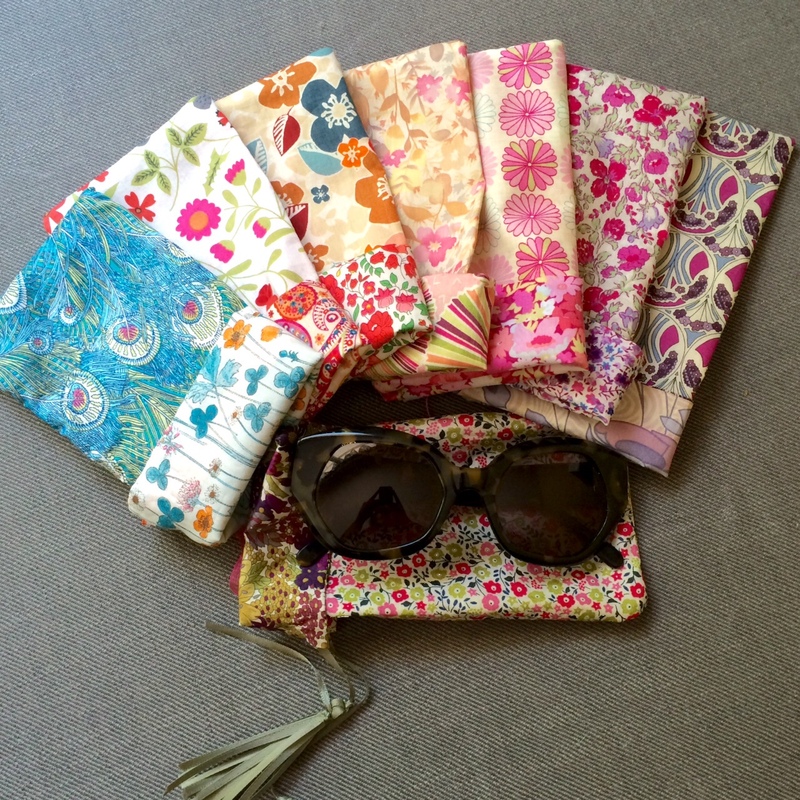 I’ve had a love affair with Liberty print for about 15 years. I still remember the feeling of walking into the Liberty shop on Great Portland Street and seeing bolt after bolt of gorgeous fabric. Any excuse to use this classic beauty is jumped on. I didn’t quite realize the size of my treasured stash until I was pairing fabrics for this project. 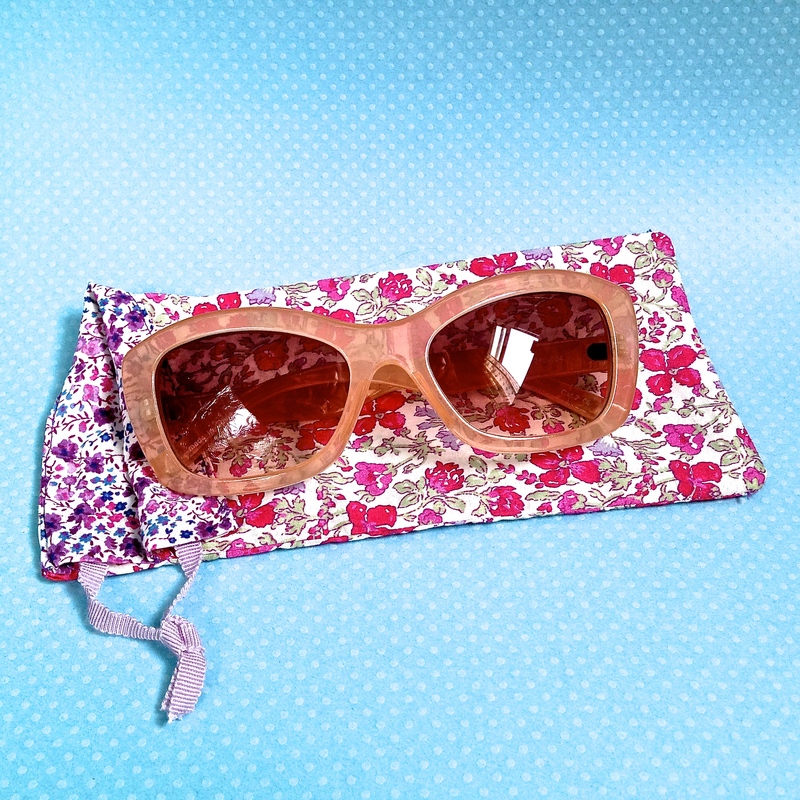 Using two small pieces of fabric and a little ribbon, these cases are not only beautiful and practical but a great stash buster. I knocked several of these out in a lazy sunny afternoon. WIN A FREE CASE! Check out our Instagram page, like, repost by midnight June 5th and be entered to win! 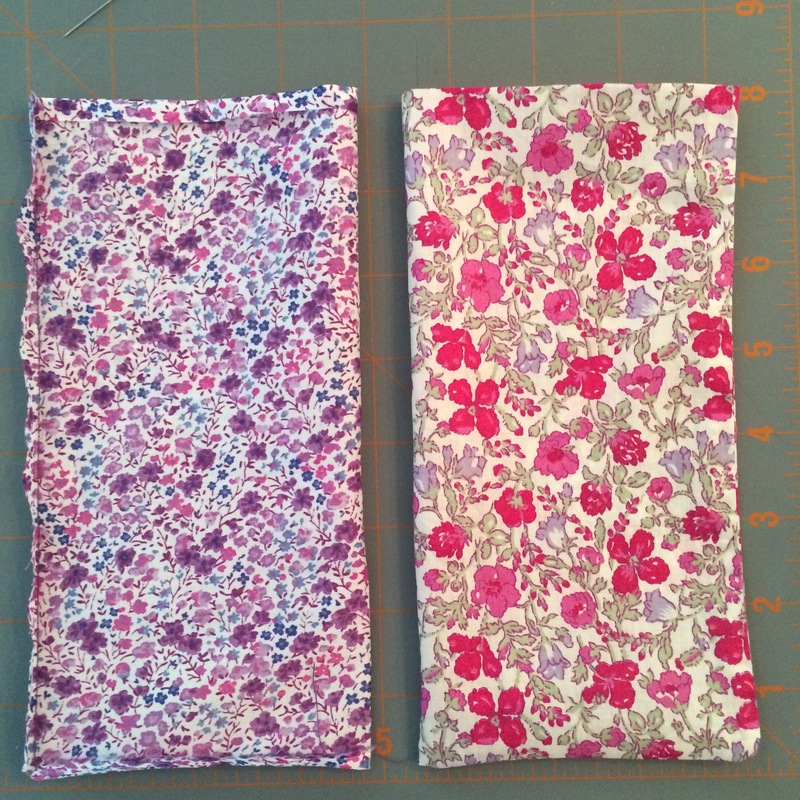 Iron the fabric then cut two 8.5″ squares. 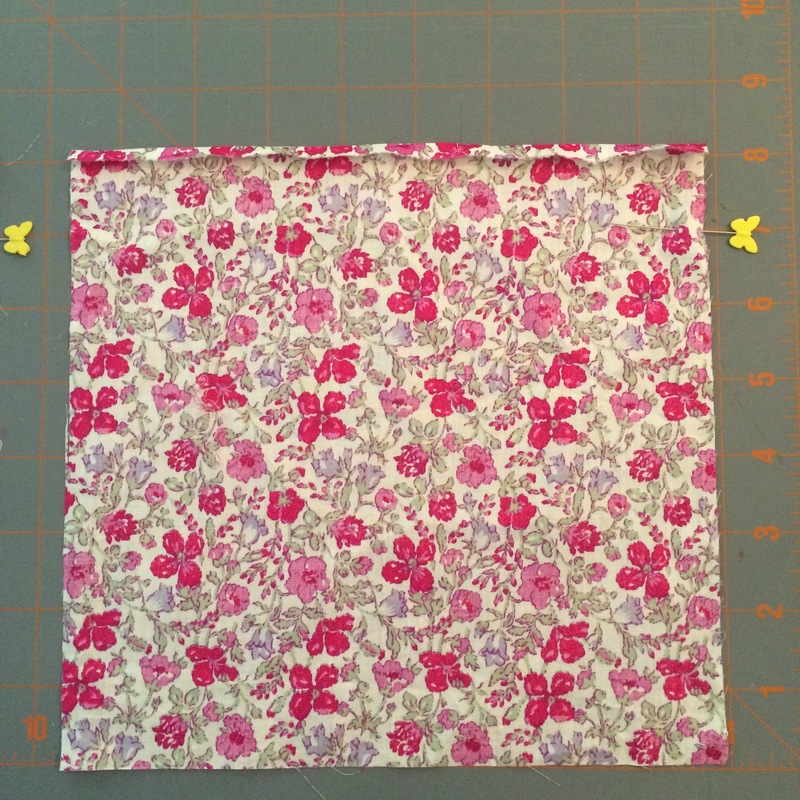 Lay fabric A with the right side facing down. 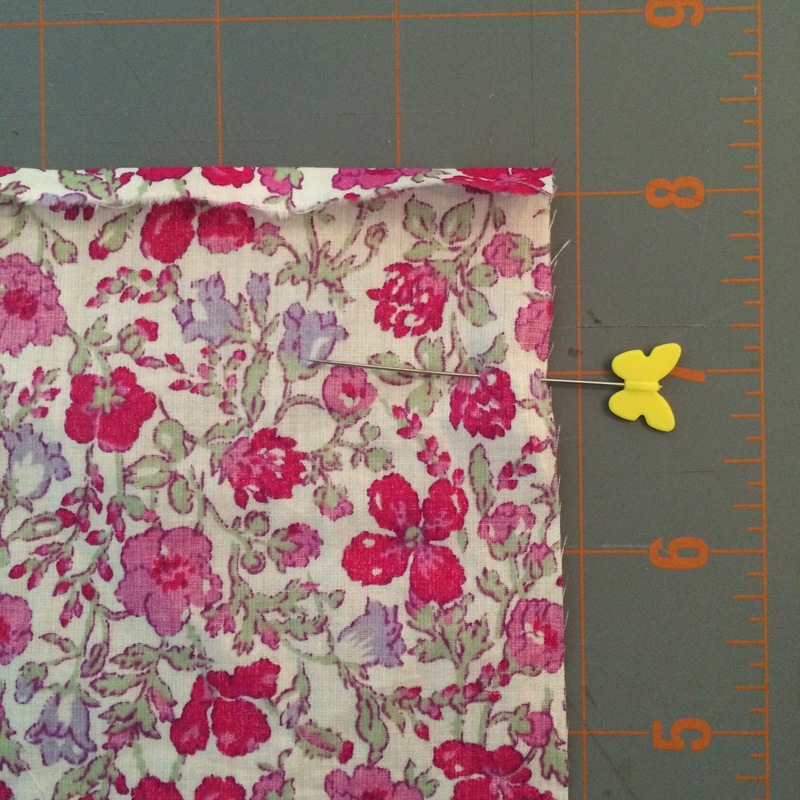 Place a pin 1 1/4″ from top of fabric on both sides. I originally left a 1″ opening because I wasn’t sure what ribbon I would thread through for the closure. If you have the ribbon already picked out feel free to alter the size of the opening to better fit the ribbon. 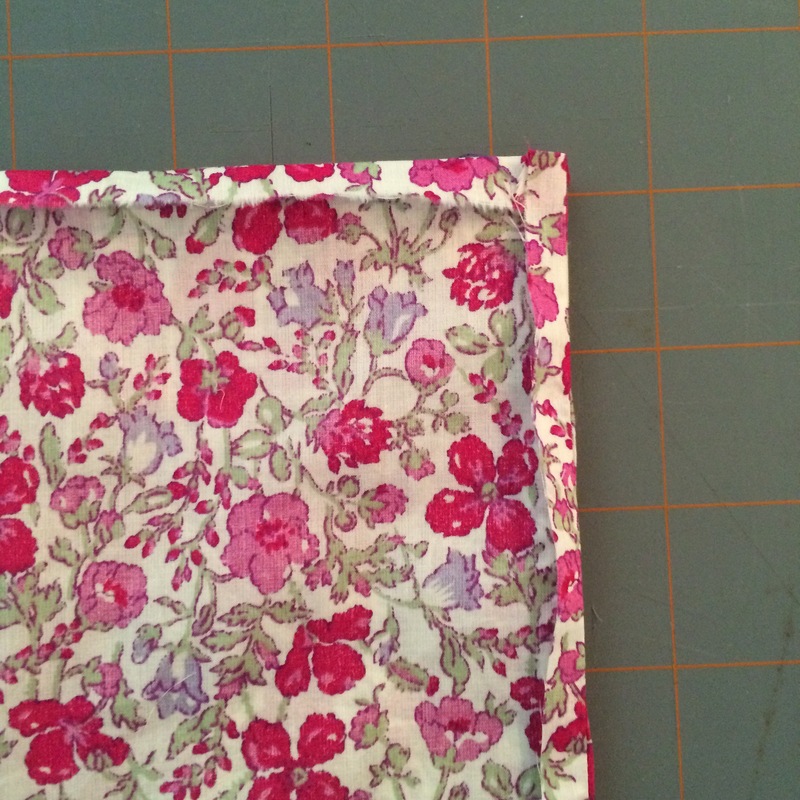 Fold the top edge over 1/4″ and press with iron. 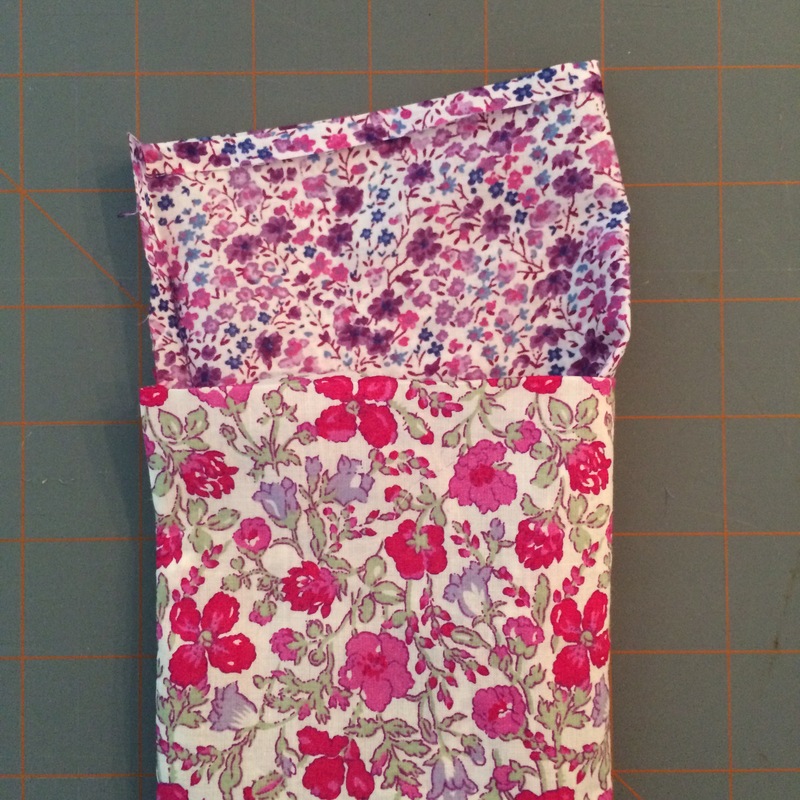 Fold the fabric in half the long way with the right sides together, matching the pins. 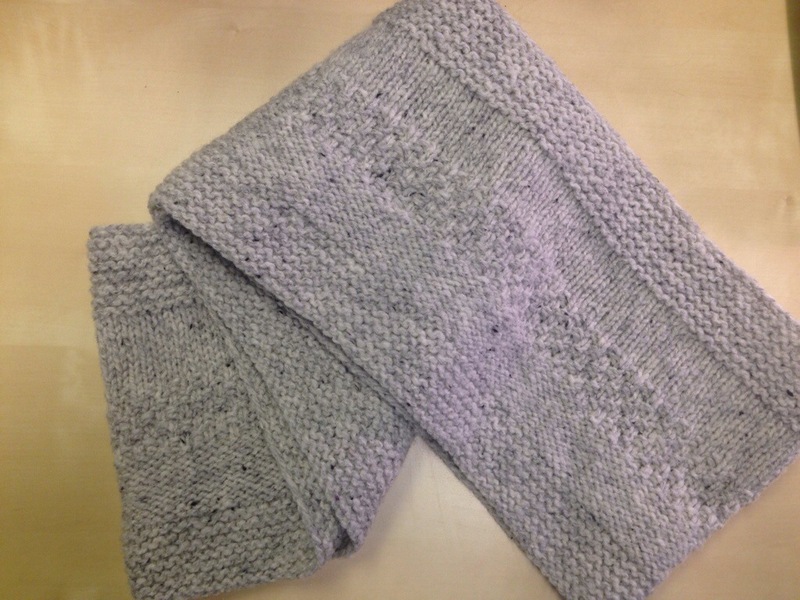 Starting at the bottom folded edge, sew along the short side (the bottom) and then the long side with a seam allowance of 1/4″. Stop at the pin. Snip the bottom corner off. Press open the seams. 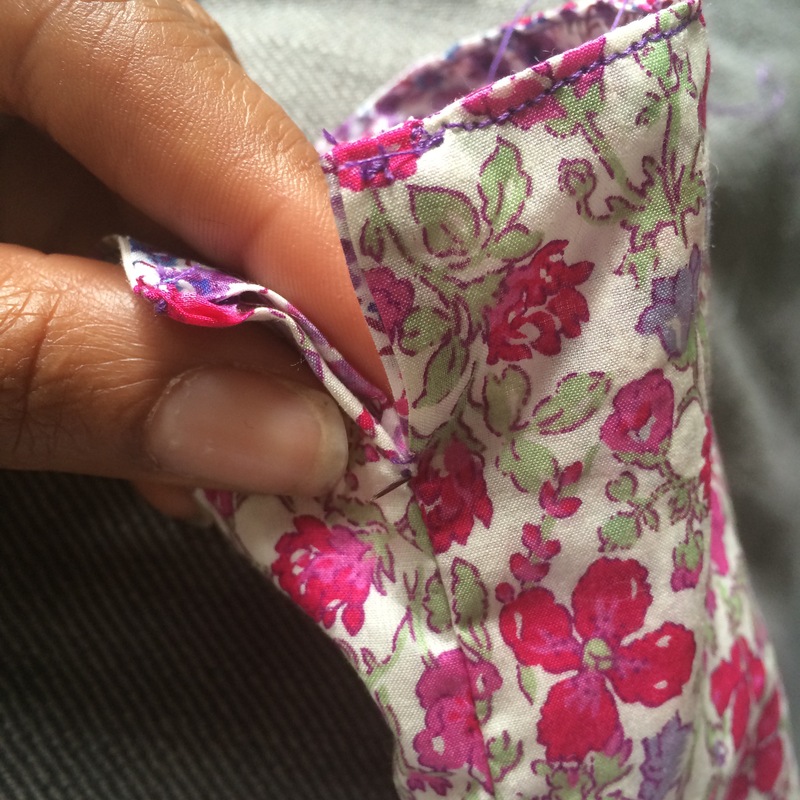 Make sure you press the long edge seam so it lays over and hides the edge of the top 1/4″ fold. Repeat the above steps with square B. 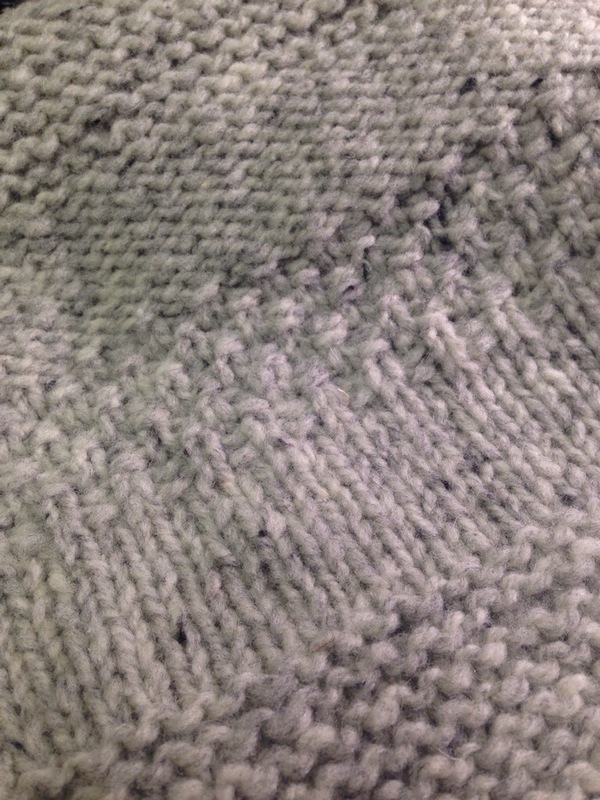 Turn piece A so the right side of the fabric faces out. Piece B remains inside out. Squeeze and wiggle B into A. B should be inside out. It’s a little fiddly. 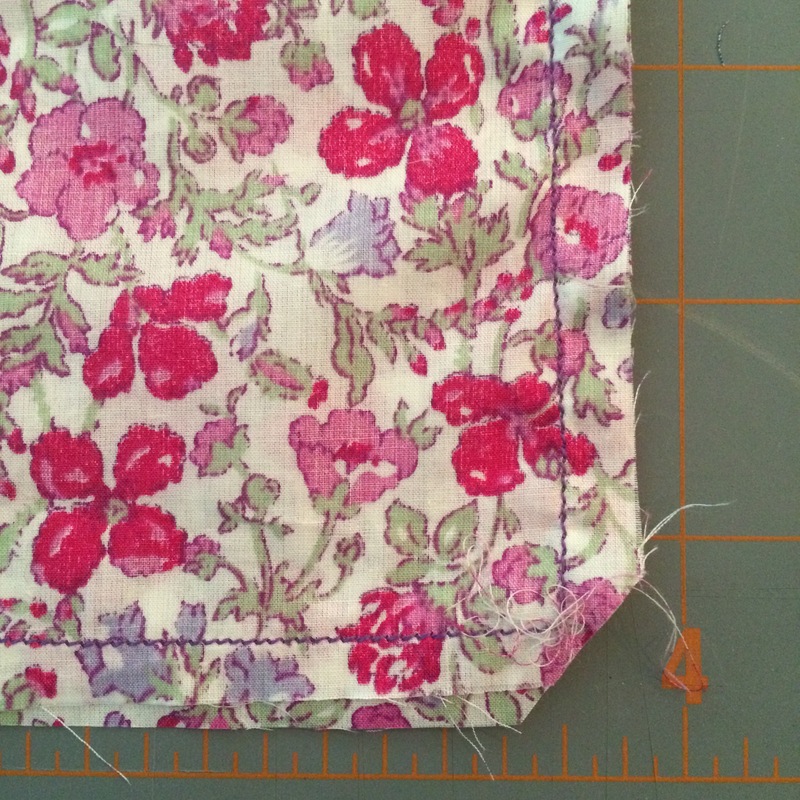 It’s important here to make sure the tops of A and B are lined up, and the 1/4″ seam allowance is sandwiched between the two pieces. Pin the two pieces together along the top edge. 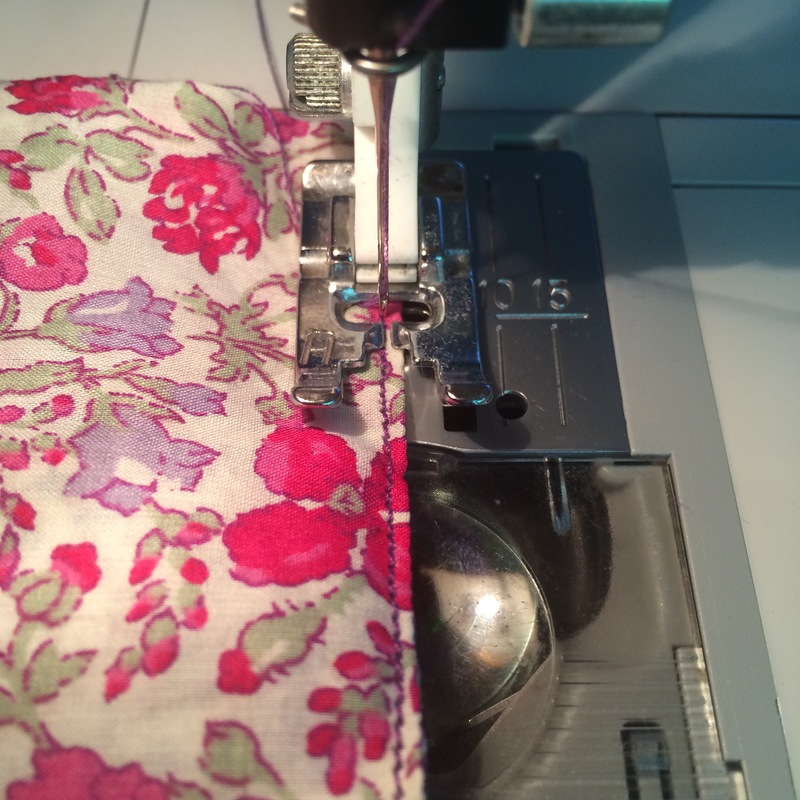 Here you can either sew A and B together on the machine with as little seam is humanly possible, or hand stitch them together using a ladder stitch. 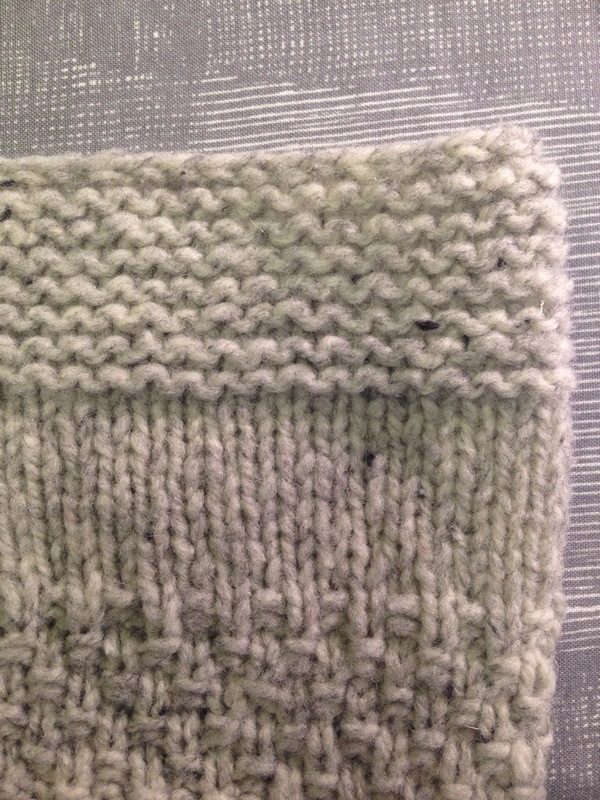 The latter method is actually my preferred way, I think it’s cleaner looking, even if it takes a little more time. You’re almost done! 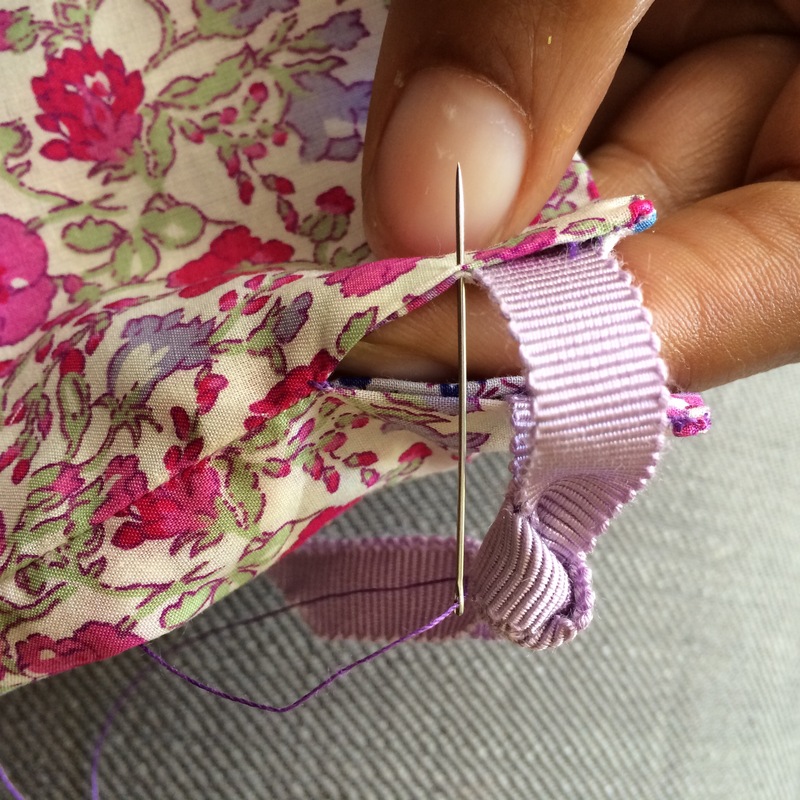 Do a couple of tiny whip stitches at the base of the opening to join the two halves.Thread your drawstring through the opening, tie the ends off together and trim any excess if needed. 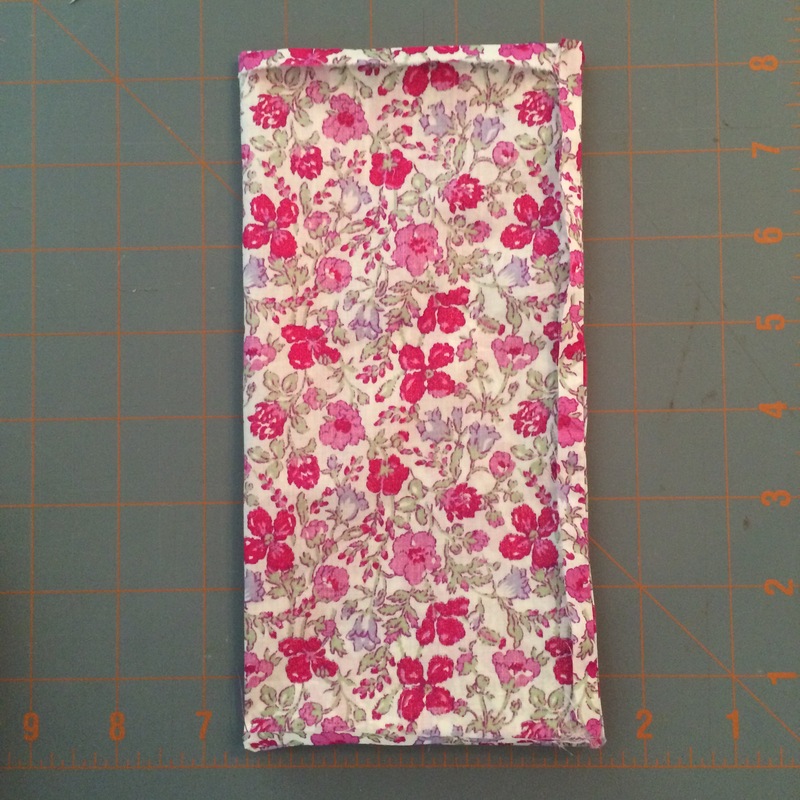 I also like to hand sew the top 1/4″ above the opening for the ribbon. 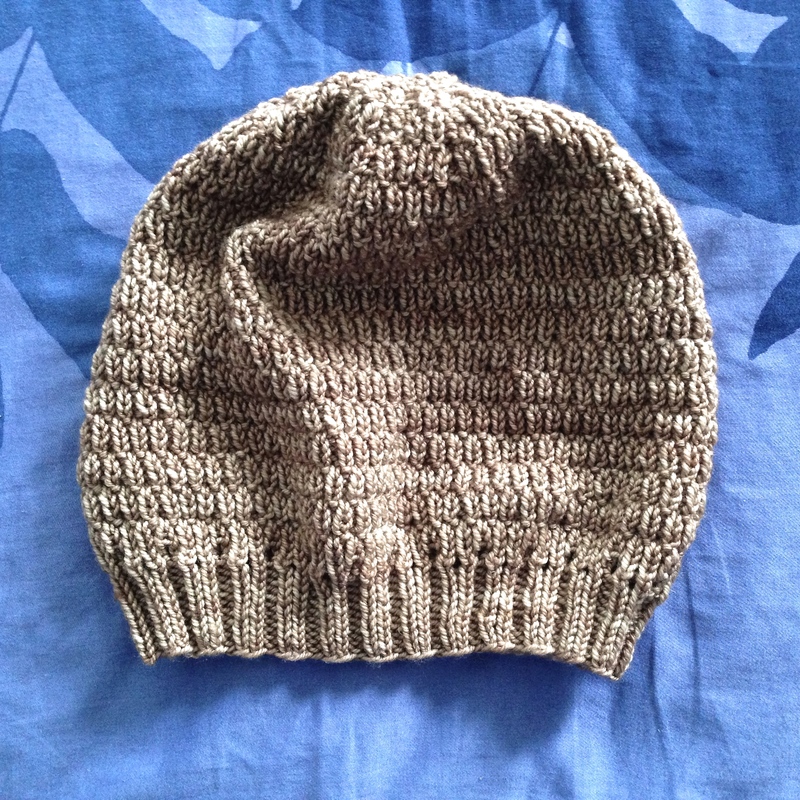 The other day I took up my needles after quite a long summer break. 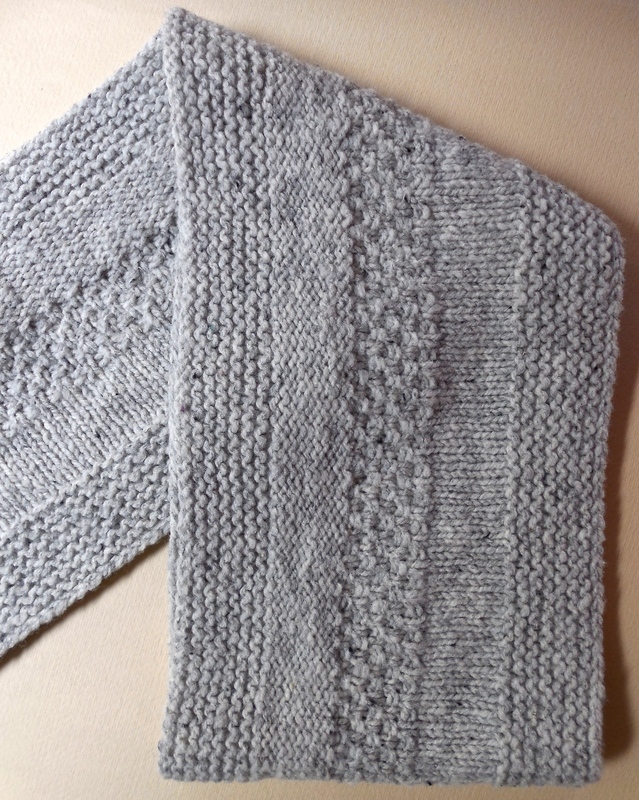 I was eager to knit, but having wool so close to my body when the temperatures were above 85 degrees was a little off putting. 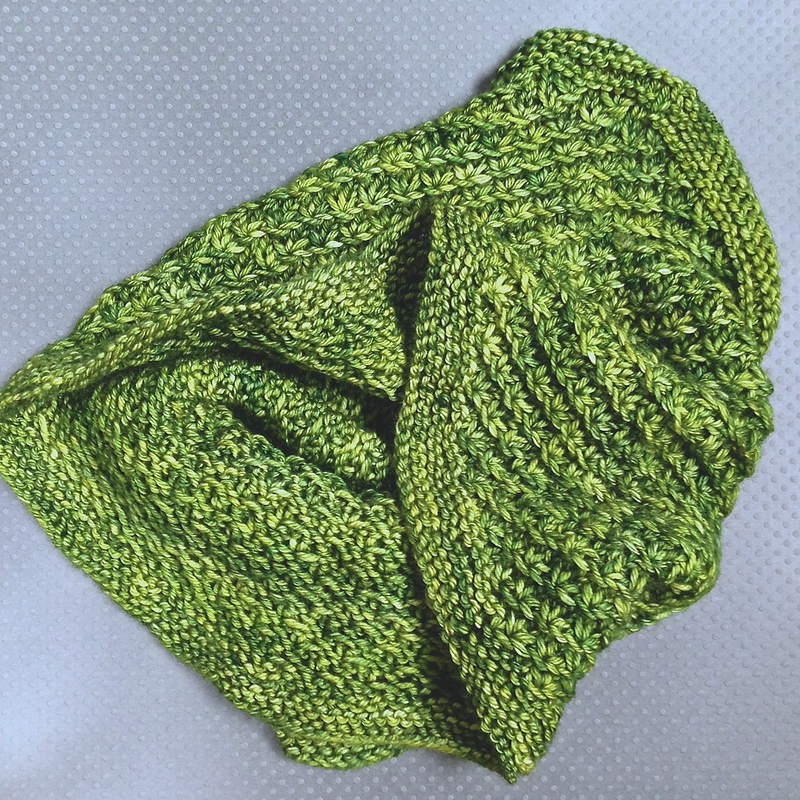 the act of sitting on the sofa and knitting was causing me to sweat buckets. Where’s that polar vortex gone? 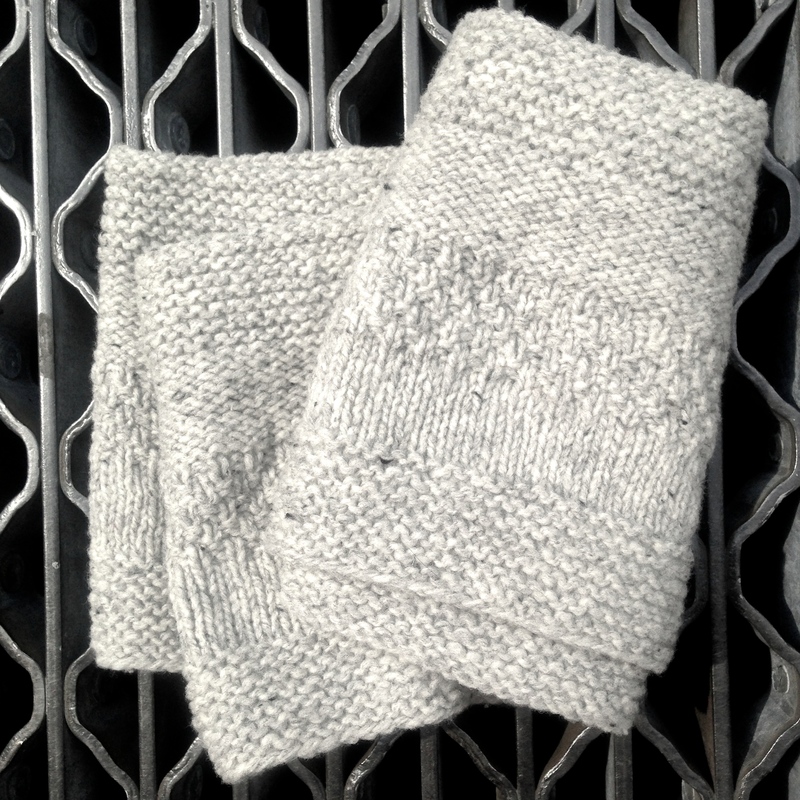 I decided to keep it simple and made a cozy cowl using Brooklyn Tweed Shelter. I can’t wait for the temperatures to dip so I can wear it. 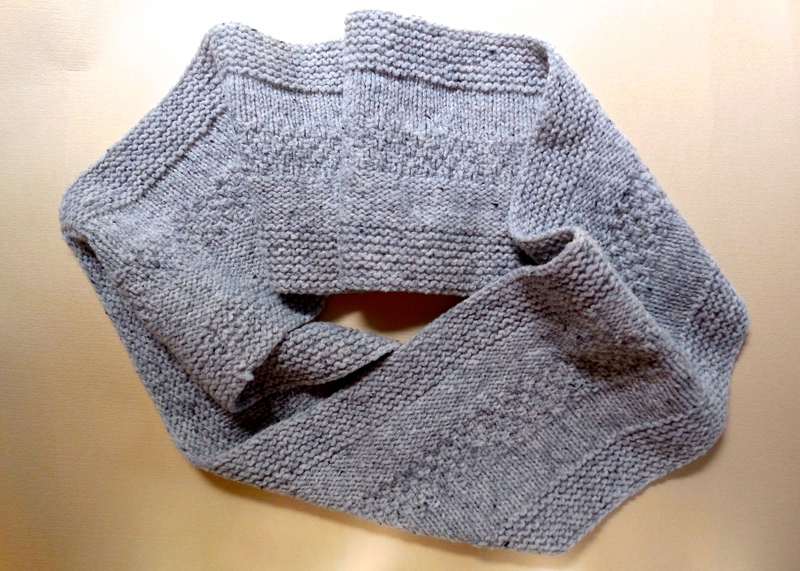 This was my first knit with BT and true to it’s name, it’s a loosely spun, rustic, tweedy wool, but it gets a really nice softness to it after blocking. 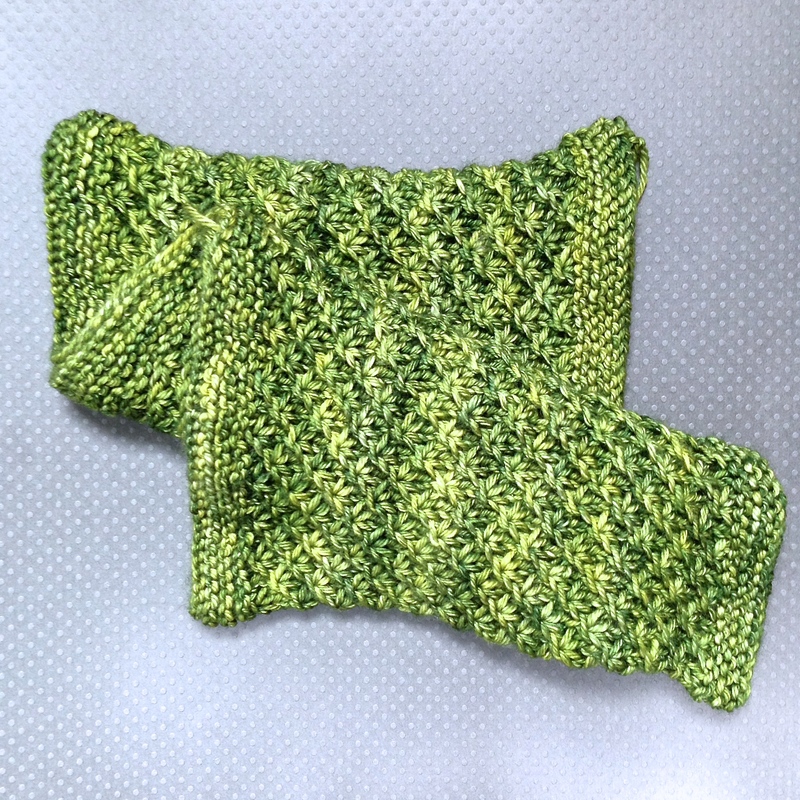 It blooms beautifully and it’s a bit clingy back in on itself so it creates a fabric with really nice structure and great stitch definition. 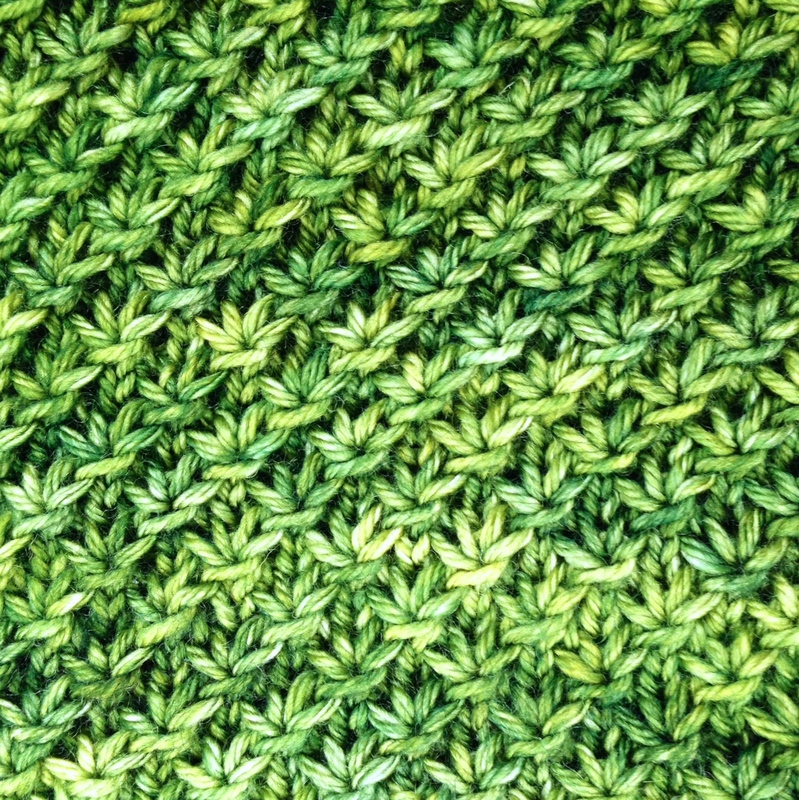 I have a feeling it will be a great choice for color work.